Obituary for Paul K Kondrla | Baker-Terravecchia Funeral Home, Inc. He was born on Thursday April 25, 1957 in Uniontown a son of Paul S and Mary Ellen (Oravets) Kondrla. Paul was preceded in death by his parents, and his son-in-law Brandon Lee Sharp. He was a previously a member of The South Union Volunteer Fire Department, Fayette EMS, Fayette County Sheriff’s Department and a Fayette County Deputy Coroner. 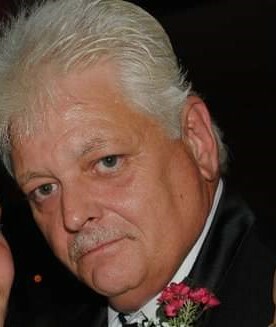 Left to cherish his memory is his children, Jennifer Kondrla-Sharp, Paula Kondrla, grandchildren, Ashton Sharp, Dillon Sharp, Mallory Mansberry, his sister Patricia Perrine, his brothers and sisters of the Fayette County Sheriff’s office, the entire Fayette County Court House and several adopted daughters. Friends will be received in the Baker-Terravecchia Funeral Home, Inc. 71 Pennsylvania Avenue, Uniontown, Pa. 15401 on Thursday January 24, 2019 from 6-8 p.m., Friday January 25, 2019 from 2-4 & 6-8 p.m. and on Saturday January 26, 2019 until 10 a.m. the hour of service.